ERBIL, Kurdistan Region – Erbil Governor Nawzad Hadi said on Sunday the government will soon resolve the shortage of water to the capital when the fourth stage of the major Ifraz project is complete. 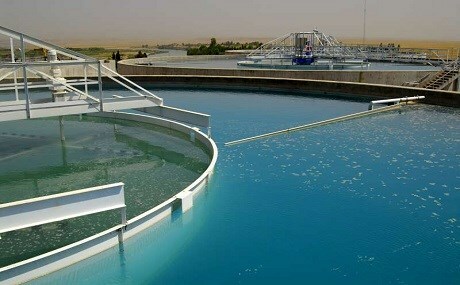 “The completion of the fourth Ifraz line in Erbil will end the shortage of water. All the wells in Erbil will be closed down and covered,” he said in a statement. There are 1,800 wells in Erbil and its surrounding areas. These will eventually be closed once the new pipeline begins serving these neighborhoods. The three dams in Dukan, Darbandikhan and Duhok have traditionally supplied the region with tap water. In late 2000, authorities completed the last stage of a major water station called Ifraz on the banks of the Great Zab River, which with its capacity of 25,000 cubic meters per hour was supposed to end shortages in the capital. There are three main water projects in and around Erbil, bringing water from Ifraz and delivering nearly 15,000 square meters of water per hour. This is in addition to projects in Shaqlawa and Rawanduz that get their water from local rivers. The city of Erbil has experienced water shortages as a result of the ongoing heat wave sweeping the Kurdistan Region. Besides the drought conditions, authorities have also blamed rapid population growth and systematic waste of water by the public. Hadi said he met with Erbil’s water directorate officials at the request of Kurdistan Region Prime Minister Nechirvan Barzani. Barzani has dedicated an emergency budget to address any abrupt or severe water shortages. “Emergency budgets are dedicated according to the magnitude of the work. It is between 1 to 2 billion dinars, and it will be spent from today on,” Hadi said about the budget. “We think we can resolve the problem in less than two months,” Hadi said. The effort comes at a time when Iraq and its neighbors face a deepening water crisis – the combined result of climate change, massive dam projects, over-farming, and decades of bad water management.